The community of artists worldwide that we support through our BookAFlashMob non-profit program is extensive. Teaching free workshops to artists and giving talks for artists at arts conferences and arts service organizations nationwide, such as Dance/USA, Chicago Artists Coalition and the National Arts Marketing Program. Our staff is comprised of artists and former artists, and we love hearing directly from artists about the impact that BookAFlashMob has had on their work. “BookAFlashMob is a great vessel for artists like me to do what we love and create incredible moments and memories for people!” – Lisa Kellogg, Choreographer, Los Angeles, CA. “BookAFlashMob.com projects are fantastic. They’re a schedule-friendly, unique way to stretch creatively and produce professionally at the same time. I recently moved to the Bay Area, and BookAFlashMob.com has given me amazing opportunities to meet all sorts of great artists and potential collaborators.” – Cara M. Tucker, Choreographer, San Francisco, CA. “BookAFlashMob.com offers a professional and exciting platform for choreographers and directors to engage with a larger public. My company Sidra Bell Dance New York has participated in several events with a 100% success rate. BookAFlashMob.com has connected us with an exciting new clientele that is excited about dance for their events.” – Sidra Bell, Director & Choreographer, Sidra Bell Dance New York, New York, NY. ” – Alie Vidich, Choreographer and Director, Invisible River, Philadelphia, PA.
“Creating memories through dance is one of the goals that every choreographer and dancer should have. Working with Bookaflashmob.com has been such a rewarding experience. Just knowing that our work has helped a family create a memory that they will never forget is one of the most fulfilling feelings ever!” – Aundrea Parsons, Choreographer, Miami, FL. “Working with BookAFlashMob.com has been a great experience for myself and my team, The Alliance Dance Team! Their staff makes it all so effortless as are is a great liaison between the client and the performers from beginning to end with every detail needed to make the special day even greater! Flash mobs have allowed us to really reach out to the world and express ourselves through dance and bring a special and memorable ‘moment’ for years to come to any event. Thank you BookAFlashMob.com for allowing us to grow as dancers, performers and entertainers!” – Crystal Garcia, Director, Stomp Factory, Houston, TX. “Creating flash mobs fits perfectly with the mission of Kinesis Project: Using dance to change space. We have the gift of being able to bring people together to dance, mark major life landmarks, create totally unusual experiences and celebrate. My job is to create spontaneous, community joy with dance, and I love it” – Melissa Riker, Choreographer, NY, NY. “Thank you for giving me this opportunity! It was really great for so many reasons… getting to choreograph and see a dance at the Milwaukee Art Museum, working with the dancers, working with Taylor, working with you, and editing the video to tell the right story. It was all great. Thank you!” – Winifred Haun, Artistic Director, Winifred Haun and Dancers, Chicago. “As a choreographer and performing artist I am deeply appreciative of an opportunity to infuse the mundane and everyday with heightened experiences. There’s something in the phenomenon of the flash mob that is surprisingly touching and magical. It is a simple and exciting; it is fun. And with some astonishment, an opportunity that seemed mostly about making a little side income has turned out to be an enriching artistic experience offering many areas for learning and artistic gain in ways I wouldn’t have anticipated. ” – Melissa Krodman, Philadelphia, PA.
“I must say that working with BookAFlashMob.com was a very positive and fun experience. All of the details of the project were very specific and professionally organized. Our dancers and choreographers were all extremely delighted to do such a cool and innovative project. It felt amazing to be able to pull off such an exciting and special event for the now engaged couple! A memory they can share for many years to come.” – Chi Chi Randolph, Choreographer, Dance Austin Studio, Austin, TX. “The process went very smoothly and I loved how proactive you were about communicating with me. I feel like we had an easy job since our client was so wonderful. And the payment process was great. I hope we can work together another time soon!” – Laura Stein, Director, New Orleans, LA. “As a choreographer who produces flash mobs for my own company, working with GoSeeDo and BookAFlashMob is always an absolute pleasure. They allow me to access a wide variety of clients and events and provide lots of help and guidance when needed. I recommend working with GoSeeDo and BookAFlashMob if you want to produce great flash mobs and make a great profit in the process!” – Bryan Ramirez, Choreographer, Long Island, NY. “This is my second project with Bookaflashmob and it was very rewarding. The clients and all that were involved were helpful, easy going and great fun to work with. I would jump at the opportunity to work with BookAFlashMob again anytime.” – Angelo Buelva,Choreographer, Seattle, WA. “Working with BookAFlashMob.com is such an enjoyable experience! This is a very professional and well-organized company that responds to the needs of the client quickly and efficiently. I couldn’t have asked for a better organization to work for!” – Barédu Ahmed, Choreographer, American Embassy of Dance, Washington, D.C.
“Working with you guys has been great and nothing beats seeing the excitement on the clients faces!” – Casey Trail, Choreographer, Chicago, IL. “ I feel privileged to have been able to work with BookAFlashMob.com as choreographer. The communication was easy and the expectations very clear. We were so pleased to be a part of such a touching wedding proposal!” – Amanda Stanger-Read, Choreographer, NY, NY. “Thank you! I hope that I can work with you again, really soon! This was an awesome experience.” – Katie Barlow, Choreographer, NY, NY. “Thanks to Mike and the BookAFlashMob.com team, our flash mob was a huge success. They linked us with a high profile client and remained involved all the way to ensure optimum results. We had a great time and learned a lot!” – Lori Garling Pergament (Artistic Director & CEO) and Melinda Fritz (Executive Director) of Greater York Dance, York, PA.
“Ballroom Utah Dance Studio has had the pleasure of working with BookAFlashMob in 2014 and each experience wildly exceeded our expectations. BookAFlashMob is quick to respond to client requests, diligent with their communications with our choreographers and speedy with the contracted payments. We hope to have the pleasure of ‘flashmobbing’ with them in new venues throughout the mountain west region for a very long time!” – Martin Skupinkski, Choreographer, Salt Lake City, UT. “Working with BookAFlashMob.com has been such a fun and rewarding experience for our company. The representative from BookAFlashMob.com was always present, communicative, and resourceful- it is clear these are professionals who know their work and how to get the job done effectively and beautifully! I highly recommend them for any event or party where entertainment is considered.” – Barédu Ahmed, Choreographer, American Embassy of Dance, Washington, D.C.
“Having the opportunity to choreograph and direct flash mobs is an honor and privilege. To think that I get to be a part of creating such an amazing memory for all those involved is such an awesome experience. Bookaflashmob.com has helped create some amazing opportunities for myself and for the dancers and crew we get to work with. What a fun and energetic way to use our talents?” – Aundrea Parsons, Choreographer, Miami, FL. “Creating a flash mob for a client’s special event is such a wonderful experience because it’s a chance to share dance in a non-theatrical setting.” – Rain Ross, Choreographer, South Jersey, NJ. “Thank you BookAFlashMob.com for the opportunity to create a Flash Mob. I enjoyed expressing what I love… “Dance”. And also enjoyed teaching other dancers and making life easier with a Dance.” – Corey Smith, Choreographer, Argyle, TX. “There’s something very magical about getting to create someone’s special day. The work you are doing ends up being a moment in someone’s life that they will always remember, and that is the greatest reward.” – Shayla Benoit, Choreographer, NY, NY. “I would love another opportunity to work with you. Thank you. It fills me with such joy to be able to pay dancers for what they love doing. As I wrote checks out the other morning I was smiling ear to ear, it brings me such happiness. Thank you for that.” – Marko Westwood, Choreographer, Las Vegas, NV. “Working with BookAFlashMob.com was a great experience! Jason Laws was very prompt and professional in providing every need. The entire flash mob was a huge success, thanks to my hard working performers. The President of the company was very pleased and so was I!” – Elaina Levingston, Choreographer, Overland Park, KS. “Thank you BookAFlashMob for the amazing opportunity to do what I love! The performance went amazing and the whole crowd loved it! The flash mob couldn’t have gone better! Rick was jumping with joy after we got done and said he was having so much fun watching us. He loved working with our company and can’t wait to work with us again in the future! Thank you again for the amazing opportunity! Can’t wait to work with your company again in the future!” – Casey Trail, Choreographer, Chicago, IL. Learn more about our resources for artists. 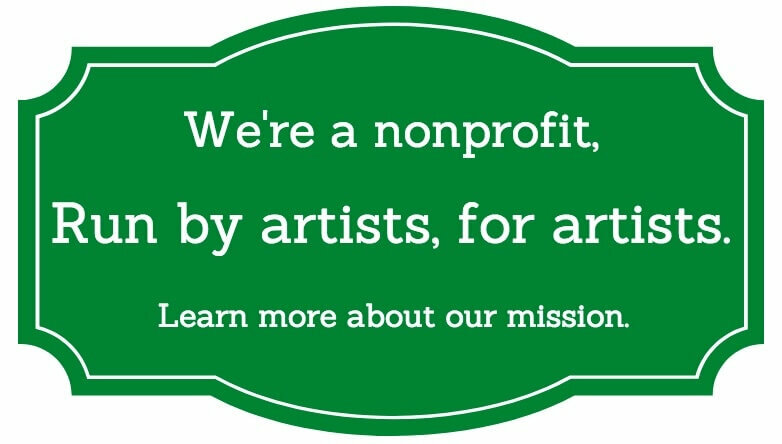 Make a donation to support our resources for artists.